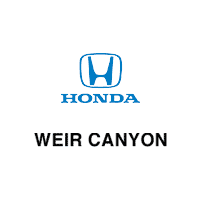 When there’s been a recall on your Honda vehicle, rely on Weir Canyon Honda to supply you with the repairs you need. If there’s a car part you need for a given Honda recall, simply fill out the recall part order form below to begin your recall part ordering process. With our high-quality Honda service and repair center in Orange County, CA, you won’t have to worry about fixing Honda recalls because we’ll help you every step of the way. If you have any questions please email recalls@weircanyonhonda.com or contact our Anaheim, CA dealership today.